Fully Integrated Shipping at its Smartest! 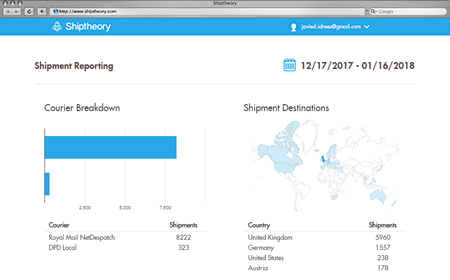 Ship smarter by letting Shiptheory automate your shipping and save you hours of work every day. Get started today, for FREE. Shiptheory connects your business directly to your carriers. Explore how it all works below. 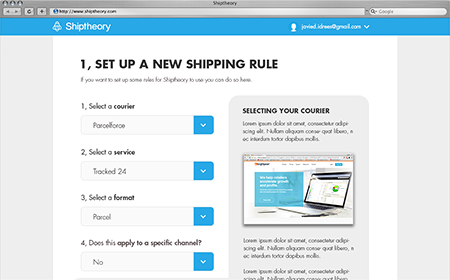 Shiptheory provides a flexible shipping rules engine that allow you to create simple and complex shipping rules. Shipping rules control how orders are sent with your carriers based on weight, order value and destination. The Shiptheory interface makes it easy to print labels. 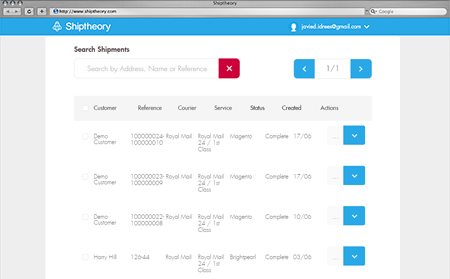 Shiptheory integrates with your all of your systems, making it easy to automate labels. Our development team stays ahead of channel and carrier updates, keeping your shipments moving. No more desktop software or manual data entry required. Shiptheory takes care of your shipping so that you can concentrate on other areas of your business. Gain complete insight of where your orders are coming from and how those orders are being shipped. Our in depth reporting suite gives you the important decision making data you need to spot cost reduction and service improvement opportunities ahead of your competition. 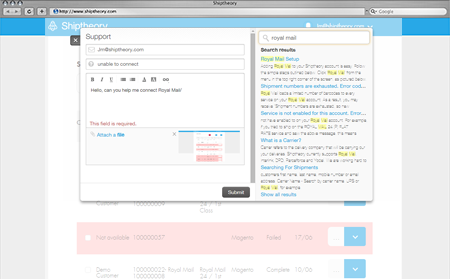 Shiptheory provides support 24 hours a day, 7 days a week to you regardless of the size of your business. The team behind Shiptheory have been automating shipping for almost 10 years. We are here to help you transform your shipping process. Shiptheory integrates with many popular carriers and channels. Explore our partners below. Integration with Brightpearl for seamless order management. Integrate with the worlds most popular ecommerce platform. 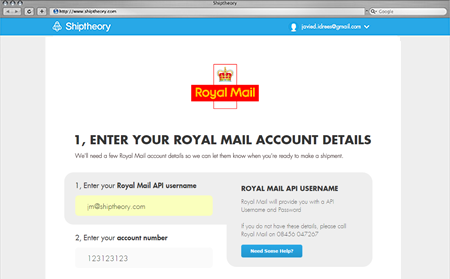 Integrate eBay with Shiptheory and streamline your shipping. Connect Khaos Control Cloud with a world of awarding winning carriers. Automate your shipping with exact online. Integration with Unleashed, Inventory software for superior business growth. 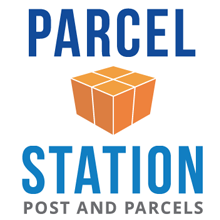 We wanted a more efficient way to ship our parcels each evening without inputting each individual parcel address and shipping them individually at the end of the day. I made contact with these guys and I’m so glad I did. We now have a simple integrated system which has been set up to suit our own company needs. These guys have been so responsive when I email them, and they have even sent courteous emails to ensure we are happy with the system we have in place. It has saved us so much time the only negative... I wished I had contacted them sooner. Well done guys absolute pleasure to deal with! !